With over 20 years of combined government contracting experience, we engage in various activities to develop short-term, intermediate, and strategic plans to solidify expectations while working towards closing an award. CMG prides itself on being a hybrid consulting firm, with experience working with government agencies and large and small businesses. CMG is uniquely positioned to identify a comprehensive plan for an effective government contracting model for your business. Request a call back and a CMG representative will contact you direct. 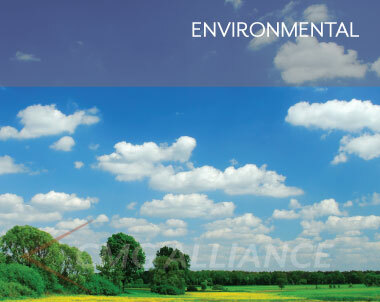 CMG Alliance (CMG) is a government contract and business consulting firm that helps companies capitalize on today's federal, state, and local contract opportunities. CMG Alliance is a certified disabled veteran business enterprise (DVBE), and a service disabled veteran owned small business (SDVOSB). CMG’s core competencies in preparing and providing government procurement policy development, small business program development services, business development services, proposal preparation and support, and technical documentation for government and private sectors. 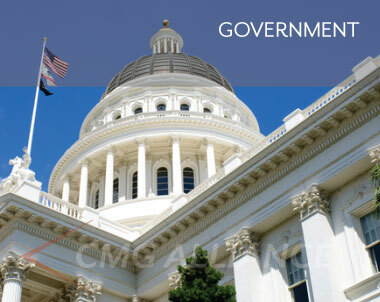 CMG’s proven resources, experience, and expertise, greatly assists our clients in pursuit of government contracts. With over 20 years of combined government contract management and business experience, CMG has helped many companies win contracts representing over $186 million dollars of contract revenue. CMG develops an outreach campaign to target specific opportunities and contracting officers. We prepare and submit your company's capabilities statement, statement of qualifications for sources sought, RFIs, and RFQs in conjunction with proposal production and submission. We use these tools to market your business to various government agencies, contracting officers, and other contacts. CMG provides an integrated government contracting and business consulting solution that combines strategic planning, federal, state, and local agency marketing, bidmatching, proposal writing, business services, and government contract training. CMG develops an outreach campaign to target specific opportunities and contracting officers. We prepare and submit your company's capabilities statement, statement of qualifications for sources sought, RFIs, and RFQs in conjunction with proposal production and submission. Our proposal writing approach demonstrates a sound understanding of your company’s capabilities and past performance. We work closely with the subject matter experts within our client’s companies to develop compliant and effective proposals for submission. CMG has developed deep relationships and corporate contacts to set up teaming scenarios. This serves for an easier way to be included on larger projects and develop past performance without the liabilities and requirements as going in as a prime, or the legal implications of a joint venture. CMG engages in various activities to develop short-term, intermediate, and strategic plans to solidify expectations while working towards closing an award. CMG utilizes your business codes and identifies how much the government is spending on your products and services lineup at the federal, state, and local levels. CMG research analysts search spending and procurement records from the Dept. of Army, Navy, and Air Force, Army Corp, DGS, CA Universities, Utility Companies, CalTrans, and many others. Our consulting service model includes a marketing makeover on your capability statement and statement of qualifications which is used to market your company to a broad base of government contracting officers and agency buyers. CMG opportunity specialists search specific bids and RFPs relating to your business’s core capabilities. CMG creates an opportunity dashboard you use to manage, approve, or decline opportunities. On approved opportunities, CMG begins proposal writing and bid package production. CMG handles the process from end-to-end until an award has been issued. CMG provides a wide range of training and professional development courses for government agencies in supplier diversity, procurement, set-asides and certifications, proposal writing, teaming, FAR, project management, and other government protocols. Whether your looking to obtain your 8(a), DVBE, SDVOSB, or other certification to capture set-aside contracts and preference, CMG can help prepare and submit your application. CMG utilizes teaming agreements to combine contractors with different certifications to fill the preference or set-aside on certain bids. This helps to improve your chances of winning an award relative to technical acceptability and lowest price in connection with meeting a socioeconomic goal established by the agency or buyer. Interested in government contracting? CMG provides a free business assessment to determine if government procurement is suitable for your business. CMG has a proven track record in providing service to a broad range of industries. CMG represents many large Class A and B engineering and construction firms. Construction ranges from heavy construction to wet utility, pipeline and concrete structure companies to complete design-build contractors. 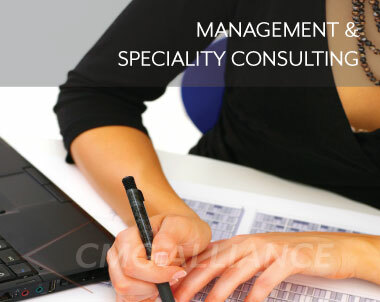 CMG specializes in management consulting. CMG has been able to help clients capitalize on many RFPs involving IT staffing, procurement assessment, web design, training, and system planning and implementation. CMG has provided service to many government agencies such as Edison, LA DWP, LA Metro, CalTrans, PTAC, SBA, SBDC’s, LA County, and others. 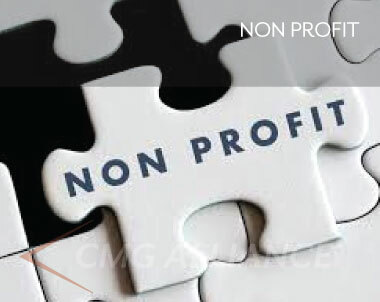 CMG provides planning, training, and implementation to support operational and organizational foundations for non profit 501c3. We structure functional relationship and proceeds generation models with compliant reporting to help non profits streamline the donation lifecycle. 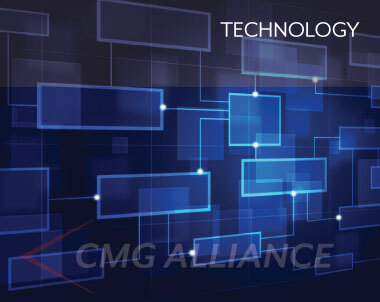 CMG consults for many technology and IT firms. There's a significant demand for IT services on the government side, services range from database, website, and graphic design services to providing consulting support on many existing systems currently used by agencies. Does CMG write and submit proposals? Yes, CMG finds and presents opportunities to you. Once you approve an oppportunity, CMG prepares, develops, submits a complete bid package on your behalf. After your proposal is submitted, CMG monitors for an award. How do CMG's integrated government contract consulting services work? CMG government contract consulting programs run month-to-month or annually. In general, clients leverage longer term programs to increase the freqency of proposal submissions over time to maximize the thresholds for winning awards. How long does it take to win an award? CMG has won contracts for clients in less than 30 days. However, cases like this are rare. When clients are engaged and focused on providing the lowest price on proposals they become more competitive. Different levels of government utilize technical, experience, and pricing as factors for an award. Contractors with the lowest price and highest technical acceptability usually win contracts. CMG recommends at least 6 to 12 months to allow the process to mature. Does CMG have a DVBE teaming or joint venture platform for contracts? CMG seeks out government set-asides and preferences at the city, state, and federal levels. CMG can structure teaming agreements to join two or more contractors to bid on a single project to meet certain government socioeconomic goals on contracts. How does CMG market my business to the government? CMG government marketing is a business development service that contains attending conferences, contracting events, and other networking activities to promote your business. 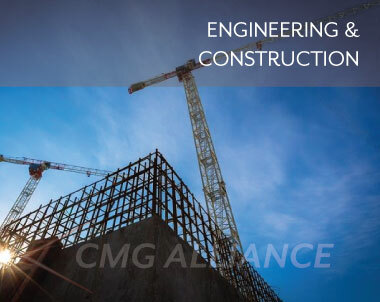 CMG Alliance is committed to providing quality through professionalism, a team approach, and effective problem solving methodologies to ensure our clients receive the best government contracting experience with focus on results and winning contract awards. See if you're company is ready for goverment contracting.